So it's been awhile since I tried the original keto replacement shake from Sated (formally Ketolent) but I was pumped to get a chance to try the new name and new formula! 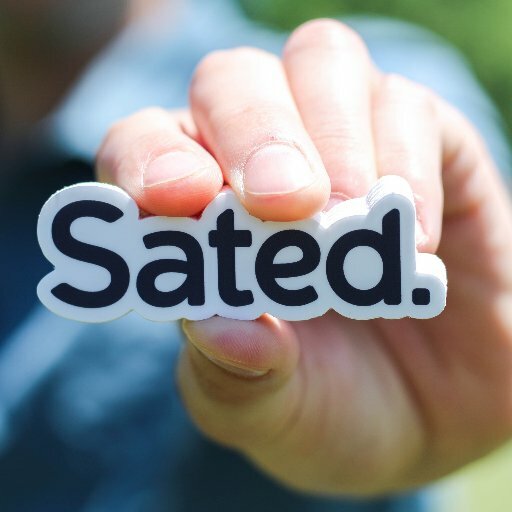 First yesssss, they changed their name to Sated which means full or satisfied so I suppose it's an appropriate change. I'm more excited about their decision to move on from Splenda and use natural sweetners like Stevia and monk fruit. Really the artificial sweetener was the only thing keeping from proclaiming Sated as the greatest keto replacement shake of all time (G-KR-OAT). Now with that out of the way, I'm happy to say they clearly are making the best shake on the market. It not only hits the keto macros right, but it taste amazing! I've tried literally dozens of other keto meal replacement shakes on the market and they all either lack flavor or have a strong protein chalkness to it. Finishing a glass of Sated isn't a chore, in fact it usually results in me having to show restraint and not pouring another glass immediately. I have tried both the chocolate and vanilla shakes thus far and I'm impressed with both. Sated made an additional announcement recently with their introduction of Sated Ready to Drink Shakes (rtd). The RTDs don't require any mixing and you can just keep them cold in the fridge for super easy on the go meals. They haven't released these yet but you can get a steal deal during preorders (I've got a couple cases on preorder). All in all, I'm excited to have this as an amazing option to power through lunches and stick to a single solid meal a day! Use discount code "BRAVO10" and get $10 off your Sated order. To save even more $, go with the subscription option. Even if you decide you don't want it, they have a no B.S. refund policy. They will refund and even pay return shipping.